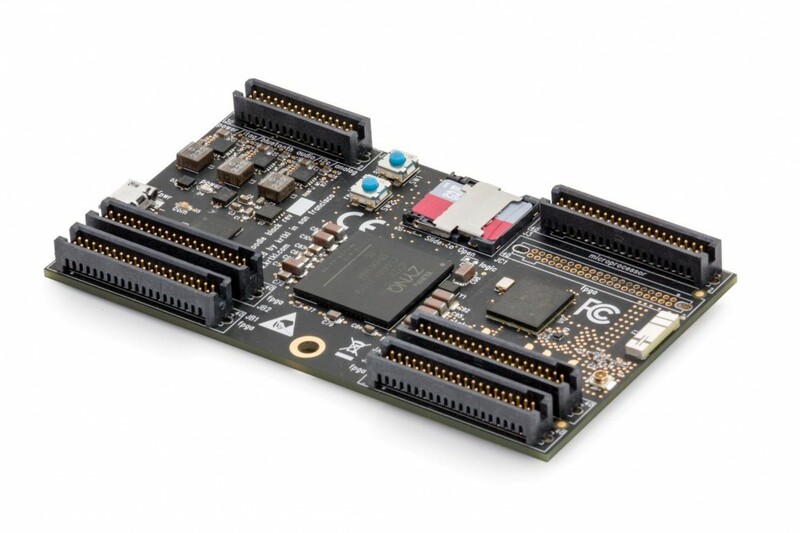 Snickerdoodle by KRTKL, Inc. is a robotic development company providing a variety of affordable, powerful, out of the box baseboards & I/O peripherals with functional applications. Snickerdoodle allows users to program in C/C++, Python, Java, and Processing.org’s programming languages often used with Arduino: Snappy Ubuntu Core, Linux, ROS, Free RTOS, and others. When creating new software projects, users of Snickerdoodle store their software in the cloud or on iPhone and Android smartphones. Snickerdoodle runs a palm-sized Linux computer with dual-core ARM, FPGA System on Chip (Soc), Wi-Fi, Bluetooth, and 154 reconfigurable I/O, all configurable and programmable wirelessly. The Snickerdoodle app comes with a number of pre-configurations, and each Snickerdoodle comes with its own onboard memory and identification chip. The following video explains Snickerdoodle.